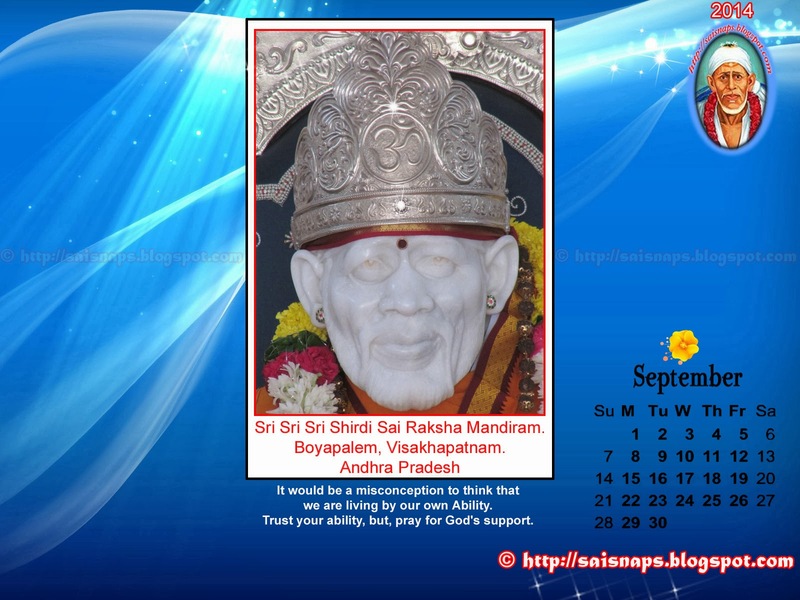 This Sai Photo Blog has been recently updated & Direct links are given Below the Blog Logo. About Us, Donations, Contact Us. 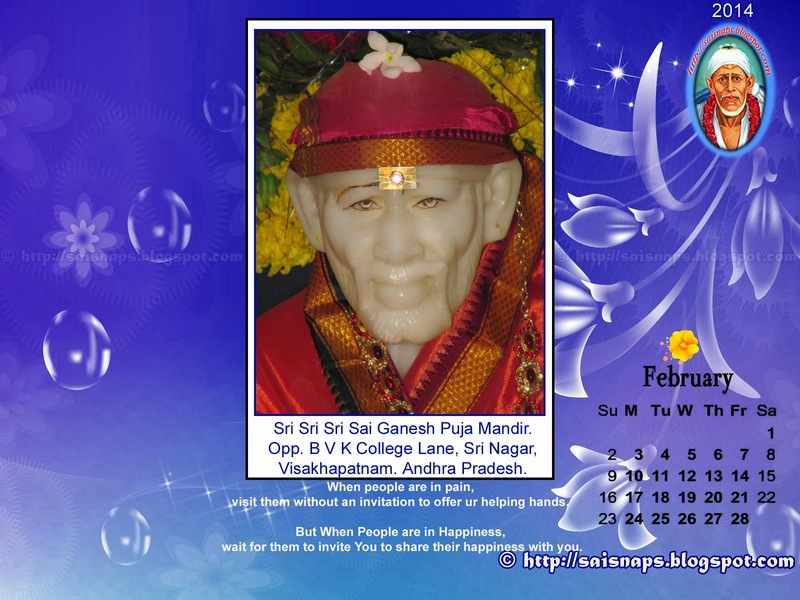 Sai Devotees can Now Know More About Us. Our Social Service to the Humanity & Be a part of it by contributing to Us & Also Contact Us through various channels online. 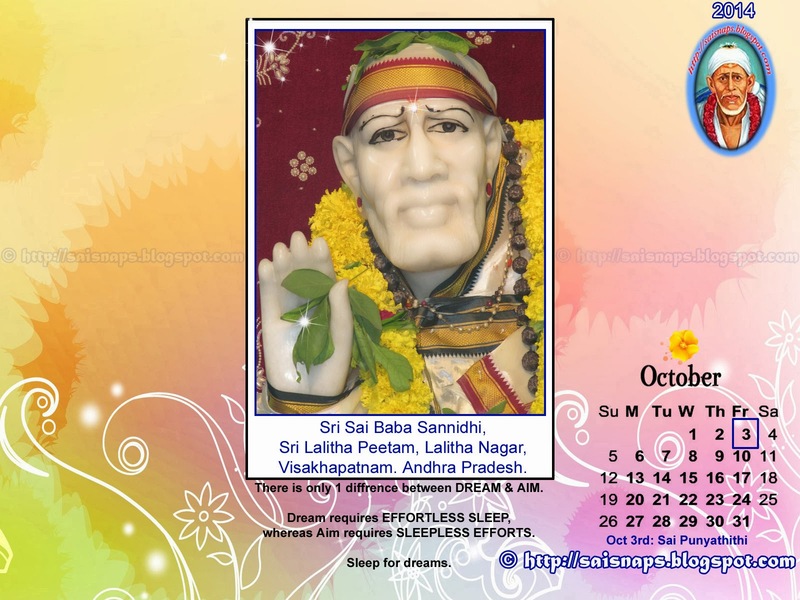 Sai Satcharita & Aarti Sai Devotees can Now Read Sai Satcharita online in English, Download Sai Satcharita PDF in 12 Indian & 3 Foreign Languages & Download Sai Satcharita Audio in 5 Language Free of Cost. 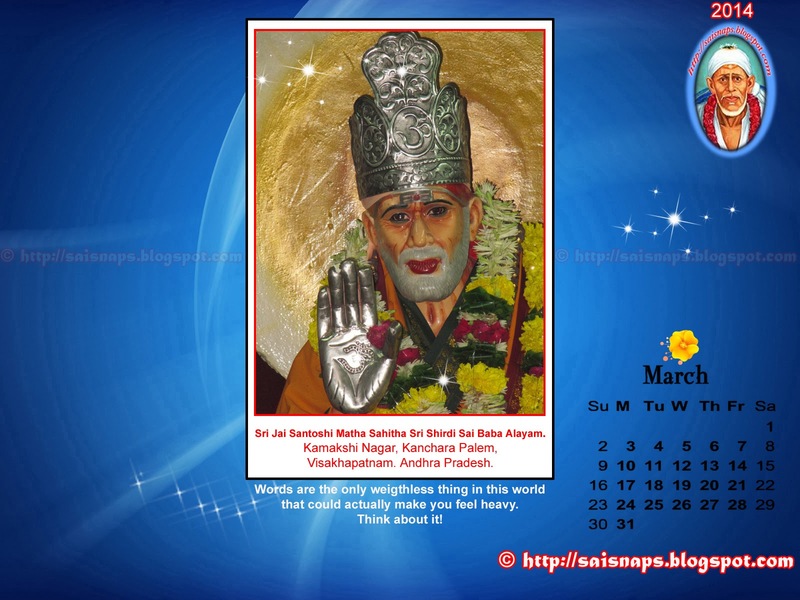 Sai Aarti PDF can be downloaded in 9 Languages & Sai Aarti Audio can be downloaded. 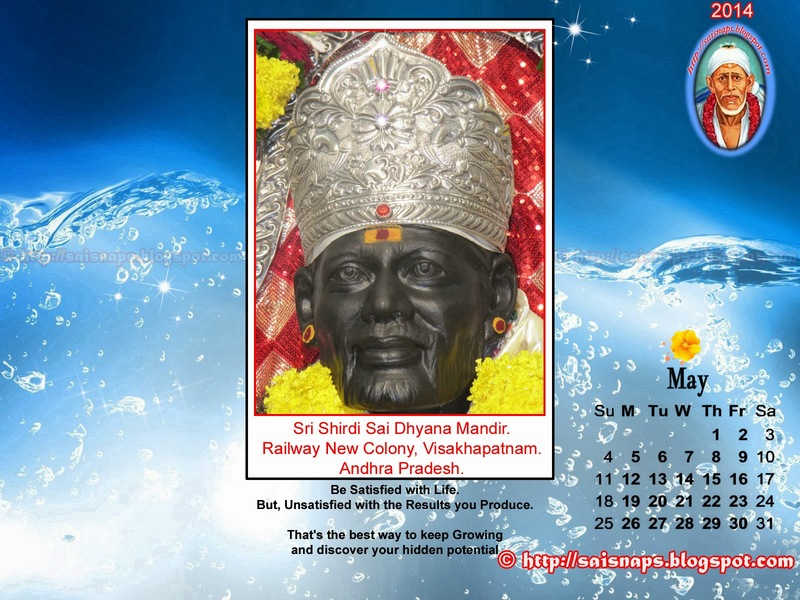 Sai Mantra Sai Devotees can Now Download PDF, Audio & also see the Video's of Various Sai Baba & Dattatreya Mantras in Different Languages. 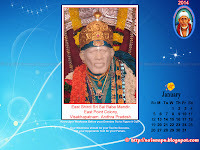 Sai Baba E Books - Reading Material Sai Devotees can Now Download Various Literature on Sri Sai Baba in different Languages, Nine Guruwar Vrath Katha, Daily Vrath Katha & around 50+ E Books written on Sri Sai Baba by Various Writers are published under the E Books. 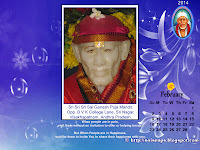 Sai Audio Sai Devotees can Now Download Audio, Mantra, Bhajans, Sai Dhun sung by various artict in Hindi & other regional Languages. 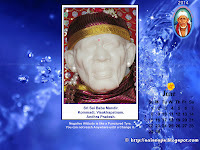 Gift Shop Sai Devotees can Purchase Mp.3 Cds, other Gifts related to Sri Sai Baba at a Nominal Cost & the proceeds from the sales will be used for our Charitable Work. Pilgrimage Series Sai Devotees can Read about the Various temples visited by me personally under the pilgrimage series & know more about Sri Shirdi Sai Baba & get the Grace of Sri Sai Baba. 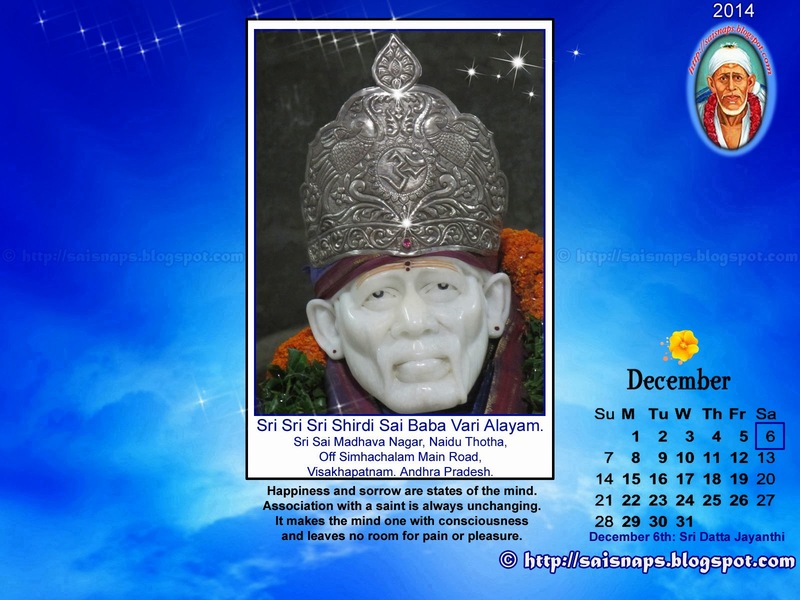 Shirdi Info Sai Devotees can read about the Complete details on Shirdi & Shirdi Sai Sansthan & the links are provided in the side Bars. 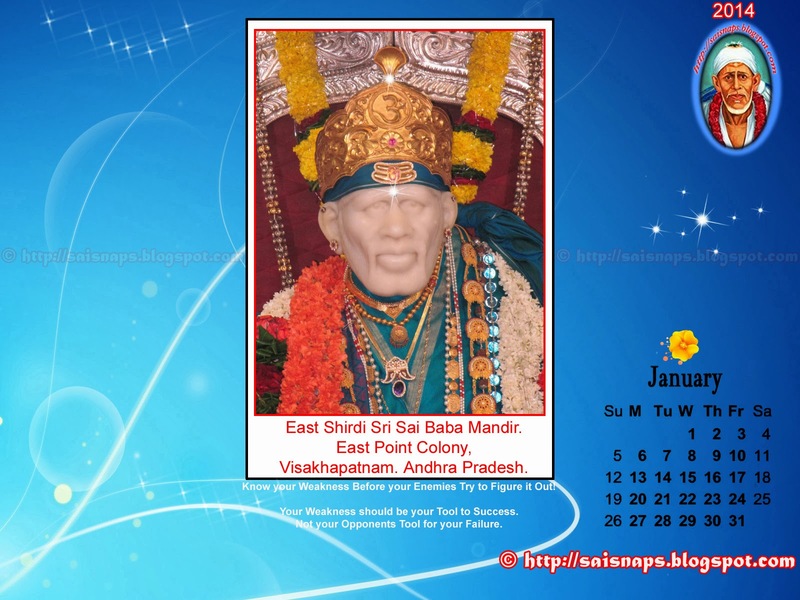 Sai Devotees Interested to share Snaps of Shirdi Sai Baba at Home or Sai Temples can mail us with complete details to saiinc@ymail.com. Subscribe Via Email to Receive Snaps posted on this blog. After subscribing pls check your email Inbox or Spam box to receive a Confirmation mail form Us. Pls click on the Activation Link inside the mail to start Receiving Regular Mails from Us. 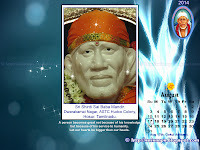 With Sai's Luv & Best Wishes. I am Very Happy to Visit Sri Sai Baba Temple at Nazaretpet - Poonamallee, Chennai for Evening Dhoop Aarti, Puja & Darshan. 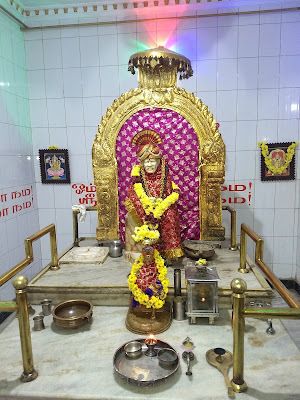 I remembered a Temple Near Poonamallee which I had Visited as part of Sai Baba Temple Pilgrimage when I was writing Articles on Sai Baba Pilgrimage Series in 2011. 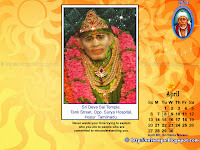 I visited this temple on Tuesday 11th Oct 2011. & After 6+ years I'm very Happy to visit this Temple Again. 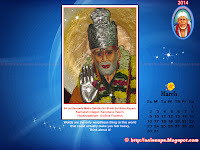 I Headed to Nazaretpet to visit Sri Shirdi Sai Maharaj Alayam. This is the 2nd Time I'm visiting this Temple & I feel I Happy to see my Sadguru at this Temple Sanctum. 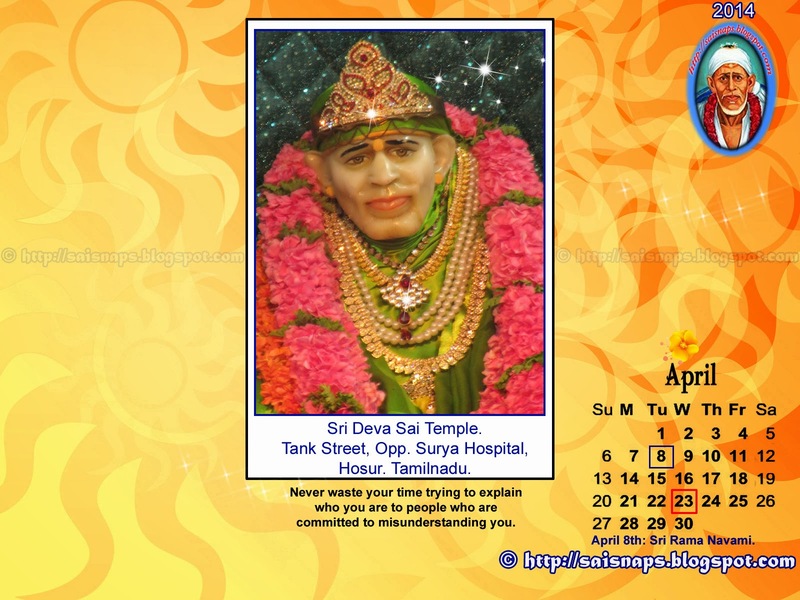 I was Able to Attend the Evening Dhoop Aarthi Darshan at the Temple. 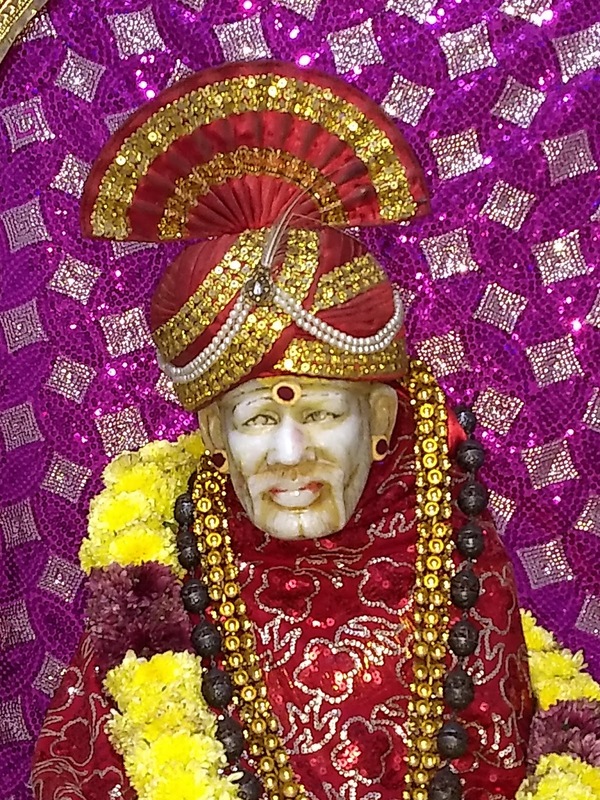 In Today's Alankaram Baba is Wearing A Red Colour Dress & Red Colour Pagdi. 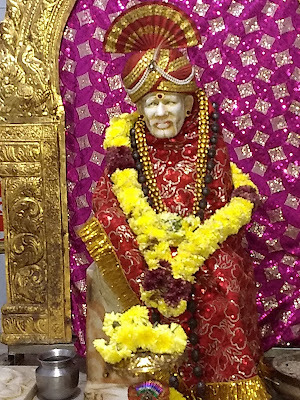 I'm now sharing few Snaps of the Statue of Sri Sai Baba that has been installed in this temple Premises. 1. This Temple is around 2.5 kms from Poonamalle Bus Terminus. 2. 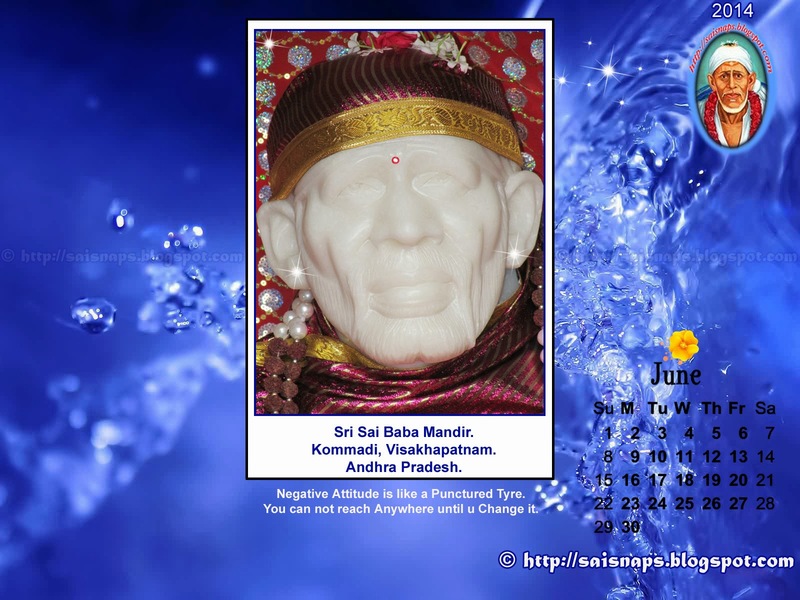 A 3ft Marble Statue of Sri Sai Baba has been installed in the Main temple Sanctum. 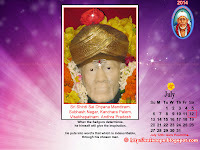 A 1.5 Ft Panchaloha Utsav Murthy of Sai Baba has also been installed in the Temple Sanctum. 3. 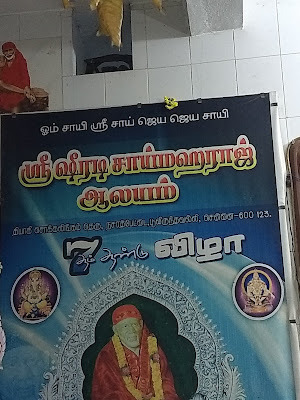 A Full Time Baba's Dhuni is kept burning in the Temple Sanctum. 4. A Small Statue of Sri Dattatreya has been Installed in the Temple Premises. 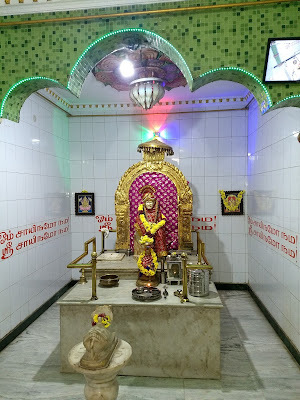 A Statue of Ganeshji has been installed at the Entrance of the Temple to the Left Side. 5. 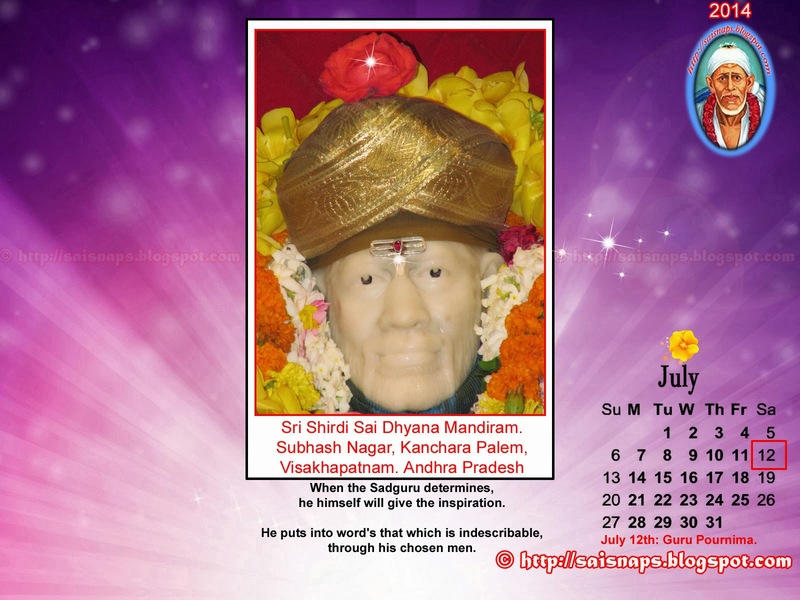 Special Puja & Abhishek are conducted on Thursday & during Sri Rama Navami, Guru Poornima & Vijayadashmi - Sai Baba Punyathithi to Sri Shirdi Sai Baba. Sri Shirdi Sai Maharaj Alayam. Sadguru's Divine Grace, Krupa Kataksha be Ever With You All. Shirdi Trip from All Over India. 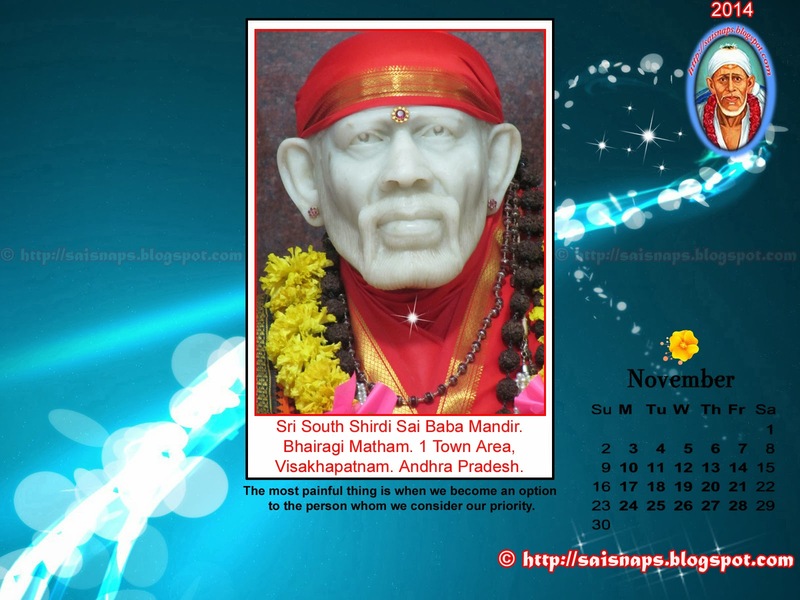 Instructions to devotees arriving in Shirdi. 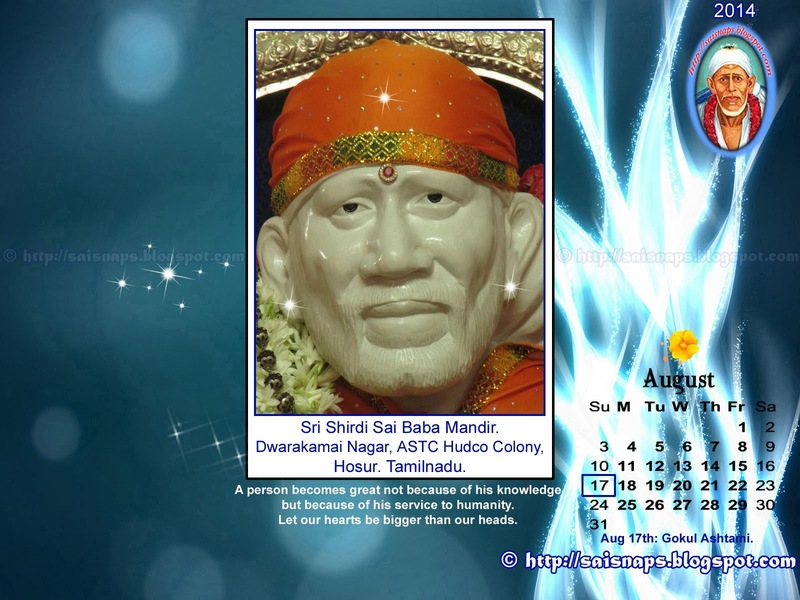 Sai Baba's Quotes from Sai Satcharitra. Dress Measurement for Baba's Idol. 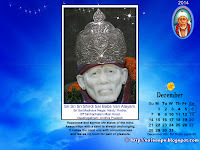 Shirdi Sai Baba High Clarity Photograph. To Download this Image Click on the Photo. 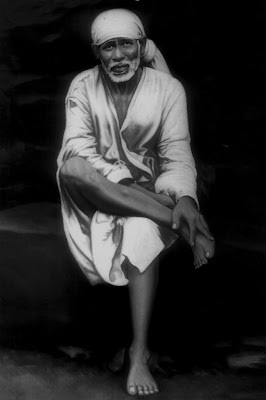 This photograph of Shirdi Sai Baba can be used for making prints of Life Size 4ft * 6ft. The maximum possible size that can be printed is 10ft * 15ft. It is ideal for making normal size prints of 8Inch * 12Inch & 12Inch * 18Inch. The end result for such a normal size prints is really amazing. 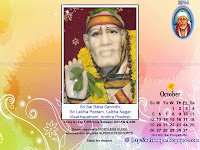 I hope this would benefit Sai Devotees interested in Getting a very big Life Size image of Shirdi Sai Baba.